The museum is conceived as two distinct parts. The exhibition core is a cubic volume – an “art bunker.” The four-story art bunker is elevated above the public landscape plaza. The exhibition levels are open floor plates and of varying ceiling heights allowing for maximum flexibility and display options. The top floor “sky gallery” is the tallest exhibition space and can accommodate the largest artworks. The spatial experience of the gallery is enhanced by the juxtaposition of installation artworks with both the “city window,” with its view back to the city center, and the “harbor portal,” with its expansive view of the harbor. 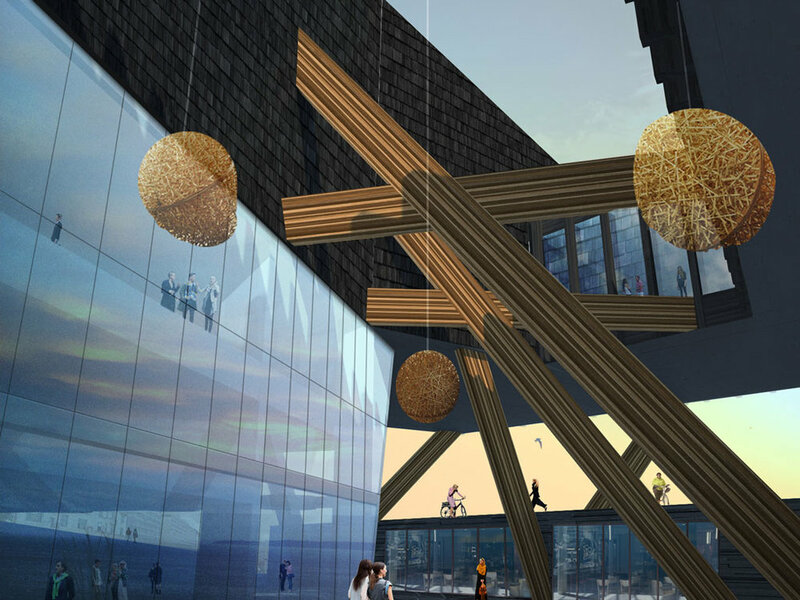 The second spatial component is the “public façade.” It wraps around the art bunker as a succession of public spaces creating a dynamic active “public” façade for the building. 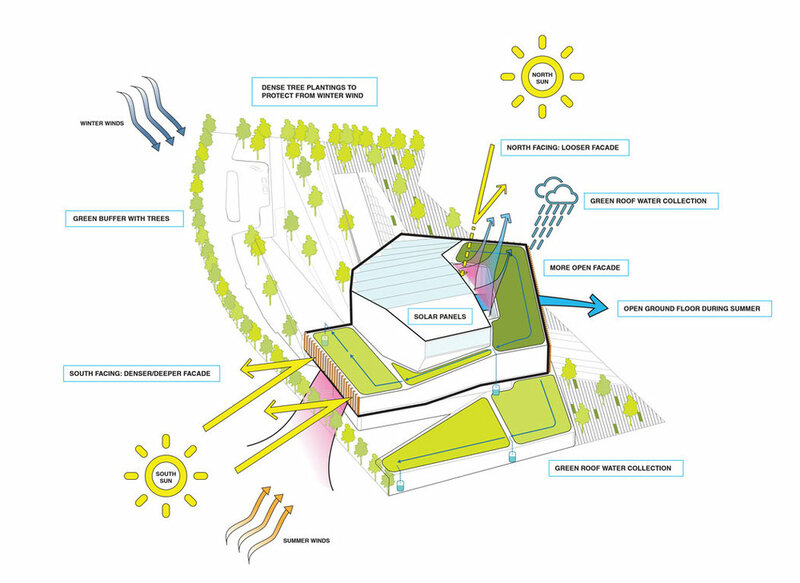 The public programs are directly connected to the multiple layers of the landscape, which link the museum directly with the flows of the city.